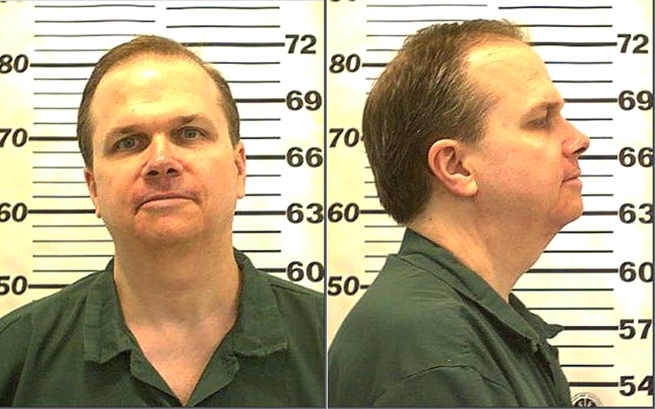 Mark David Chapman, who murdered John Lennon in December 1980, posed for the above New York State Department of Correctional Services mug shot in July 2010. Chapman, 55, was photographed at the Attica Correctional Facility. Submitted by lisasmurf82 on Tue, 2011-03-29 14:45. Submitted by melyssacali on Fri, 2011-03-04 03:03. Submitted by roydawgg on Wed, 2010-11-10 20:36. He was aiming for Yoko!! Submitted by BigEone on Fri, 2010-11-05 18:10. Did the world a favor! Lennon sucked and was anti-American. To bad he didn't die sooner. Submitted by clairpie on Tue, 2011-03-15 14:47. Submitted by Anne Marie Higgins on Sat, 2011-01-29 04:32. Submitted by BamaGuy1024 on Fri, 2010-10-29 12:33. One of the most evil selfish beings - he murdered Lennon, one of the most brilliant gifted artists of all time. Mark David Chapman is an utterly worthless miserable failure whose name will only be remembered for the misery and horror he created. Submitted by harvick on Mon, 2010-10-11 21:29. Submitted by arizonazfinest928 on Wed, 2010-09-01 17:56. Submitted by Jordan Dankworth on Mon, 2010-08-30 02:25. How could he kill lennon man what the hell i say we put him to legal ejection for killing one of the best rock stars to live.